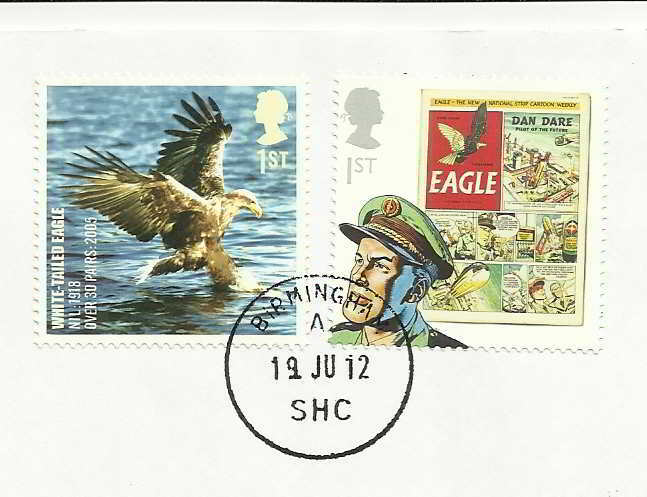 Here's an interesting combo, a White- tailed eagle (Haliaeetus albicilla) and Dan Dare of Eagle comic fame. 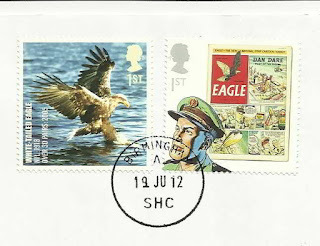 The stamp is from the 10v set of 2007 UK Endangered Birds. The white-tailed eagle went extinct in the UK during the early 20th century, due to illegal killing, and the present population of 30 pairs has been reintroduced. Eagle Comics were first produced in the UK in 1950.